You are here: Home / Life / Is Your T.A. Grading Your Papers? Is Your T.A. Grading Your Papers? The indelible college T.A. For college student these two little initials can illicit an array of verbs and adjectives. Loathed, beloved, boring, awesome, helpful, and incompetent, are just a few of the words students chose to describe their T.A.s. Granted many students prefer professors over T.A.s, the fact is many professors opt to use T.A.s to balance the gargantuan task of teaching over a hundred students per lecture. In return T.A.s, who are usually graduate students at the college, receive financial benefits to help alleviate tuition and other school-related expenses. For the average undergrad having a T.A. can be frustrating, not so much because the particular T.A. is unlikeable but because many students and parents feel that they are paying tuition so that professors can teach not T.A.s. The truth is while most T.A.s are well-versed in the subject they instruct the actual lesson plan is designed by the professors and they have the final say on the grades students receive. So what exactly do T.A.s do? Melissa Church, graduate of the University of North Carolina and former T.A. 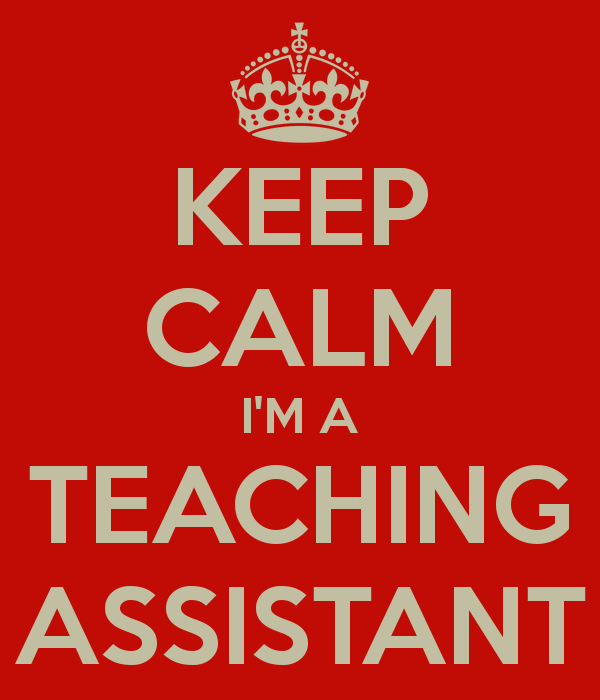 provides us with a look into the life of a teaching assistant. What college or university do/did you attend and what was your major? MC:I graduated from the University of North Carolina – Chapel Hill with a B.A. in Multimedia Journalism, and received a Masters of Art and Design at North Carolina State University. The technical description of a college teaching assistant is a student, primarily one pursuing a graduate degree, who works as an assistant to the faculty—grading papers and teaching courses—and in return gets receives financial supplements. Given your personal experience, how would you define what you do? MC: I would say that description is pretty accurate. I was the T.A. for a large class (approximately 120 students), so my primary responsibilities were to grade assignments, meet with students and assist the faculty member with lesson planning. How would you describe the typical day of a T.A.? MC: On a typical day, I would attend class, distribute handouts, proctor a pop quiz and answer questions from students. For the next couple of hours, I would spend time in the faculty member’s office, discussing plans for the next class and grading any recent assignments. The class had another T.A., and we would often discuss the quality of work we were seeing and talk about ways to improve communication or help students. That sounds pretty busy! How did you balance being a student and being a T.A.? MC: Balancing the two was not difficult. I could usually get the T.A. work done within a specific time frame, and then I was free to focus on my graduate studies. Sometimes students would make appointments to speak with me, but it never felt overwhelming. What were the perks of being a T.A.? Was there a downside? If so, please explain. MC: The greatest perk of being a T.A. was the exposure to teaching at a university level. It allowed me to explore the possibility of teaching after graduation and gave me a lot of experience dealing with students and all their various perspectives. I also became close friends with the other T.A. in my class, and it really helped to have some solidarity when dealing with particularly difficult students. What are some common misconceptions that students (and perhaps even professors) have about T.A.s.? MC: That we have more power than we do. Ultimately, final grading decisions are in the hands of the professor. We make strong recommendations. However, many students showed a complete lack of respect for the T.A.s. It was as if students believed the professor would never hear about their poor attitudes. If you disrespect us, the professor will definitely hear about it. We talk a lot. Would you say that it was harder or easier being a T.A. depending on the major? Was there any competitiveness between T.A. from different departments? MC:I wasn’t exposed to any competition between departments, but I would say most discrepancies are due to the individual faculty members and not the departments. What is the most awkward situation you have experienced as a T.A.? MC: Sometimes students (especially ones of the same gender) will see you as a confidant. I had a student who emailed me about the many struggles she was experiencing as a college freshman, but I ultimately had to refer her to student health because I was not qualified (or authorized) to give advice on such personal subjects. If you could impart some advice to students looking to become a T.A., what would you say? MC: Jump at the opportunity. In addition to helping reduce the cost of your graduate degree, you get to see your college or university from a different perspective, and it’s really enlightening. Fact or Fiction: Do Juice Cleanses Actually Work?